Buy your copy from Amazon today here. The Easy Peasy Potty Training book is a simple to follow, step-by-step process to toilet train your child. It answers your burning questions, busts myths and tells you what to do if there are problems. Read this book and you won’t spend hours searching for information. One book. Potty training. Done. 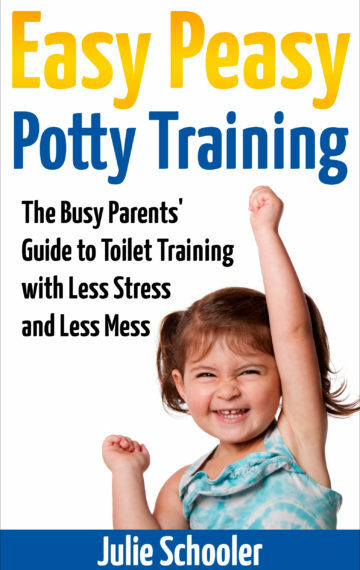 Get your copy today and you WILL potty train your child – with less stress and less mess. Easy Peasy Potty Training is part of the Easy Peasy series. These books provide simple and straightforward information on parenting topics so that busy parents don’t have to spend their time and energy getting conflicting, inaccurate and just plain silly advice. Can you REALLY be happier in 20 seconds?